NJMQG Members! 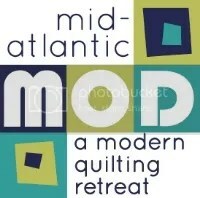 The Early Registration Code and Link to register for the Mid Atlantic MOD retreat has been emailed. If you are an NJMQG member and did not receive an email with the code and link, please email njmqginfo at gmail dot com immediately. Do not share the code/link with non-NJMQG members. Check out the optional Workshops here! Early Registration opens tonight, Wednesday, November 18 at 7pm EST. Read about Mid Atlantic MOD here. ← Reminder :: November 2015 Meeting This Thursday!